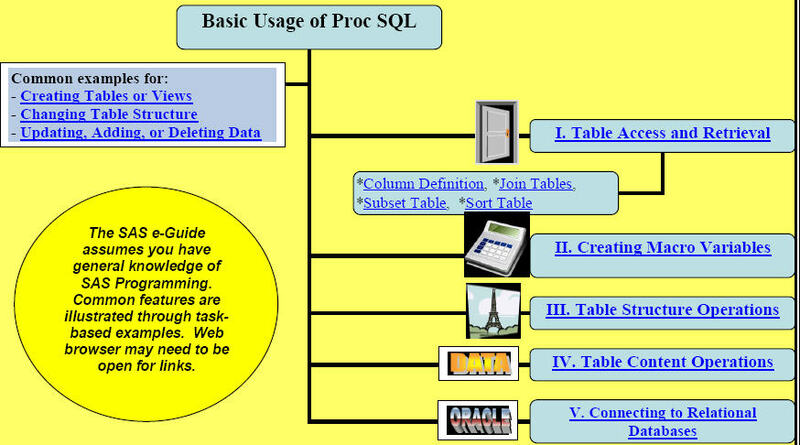 Download free preview of Quick Results with Proc SQL e-Guide. 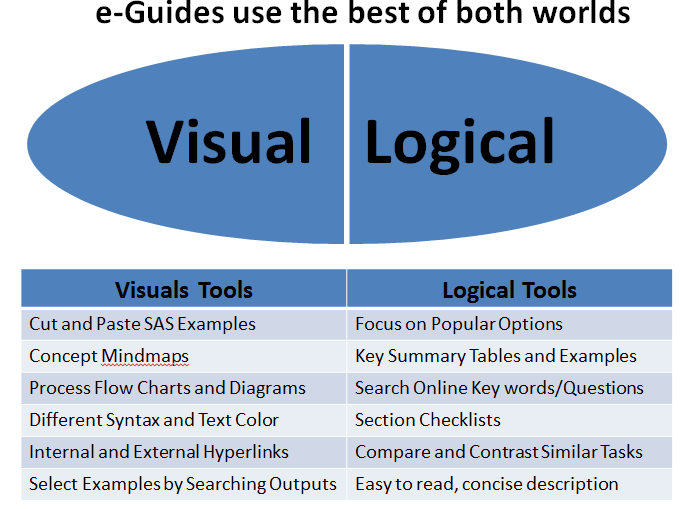 After 10 years of 're-inventing the wheel', I developed SAS® e-Guides so that I can cut and paste from real world working SAS® examples. Based on the 80/20 rule, 80% of reporting and analysis can be achieved with 20% of the SAS® Procedure syntax. Not only did this simple technique save me hours of SAS® programming time, but it also increased my insights into the full potential of SAS® Procedures. Now, when I am faced with a programming task, I know exactly which SAS® Procedure and technique to apply for maximum impact. Savvy Premium members have access to all SAS® e-Guides as they are released. Each SAS® e-Guide is a $24.95 value. See More SAS® Resources for a free preview and a complete list of SAS® e-Guides. Join SAS Savvy to download Quick Results with Proc SQL e-guide now. SAS® Savvy Training content or SAS® e-Guides not to be copied, distrubuted or sold without the prior approval of Gupta Programming. © 2014 Sunil Gupta, SAS Savvy, All Rights Reserved, Sunil@SASSavvy.com, SAS is a registered trademark of SAS Institute Inc.
SAS, Statistical Analysis System, and all other SAS Institute Inc. product or service names are registered trademarks or trademarks of SAS Institute Inc. in the USA and other countries. ® indicates USA registration.